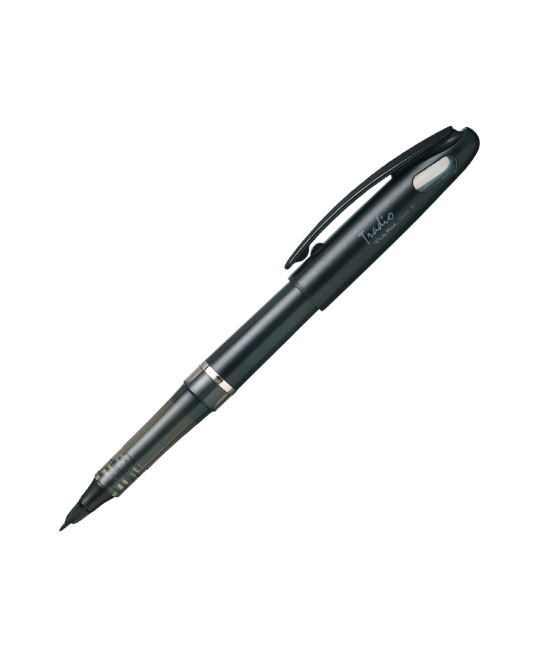 The Pentel Tradio Stylo is one of our very favorite pens, and one of the most difficult to explain to new customers. 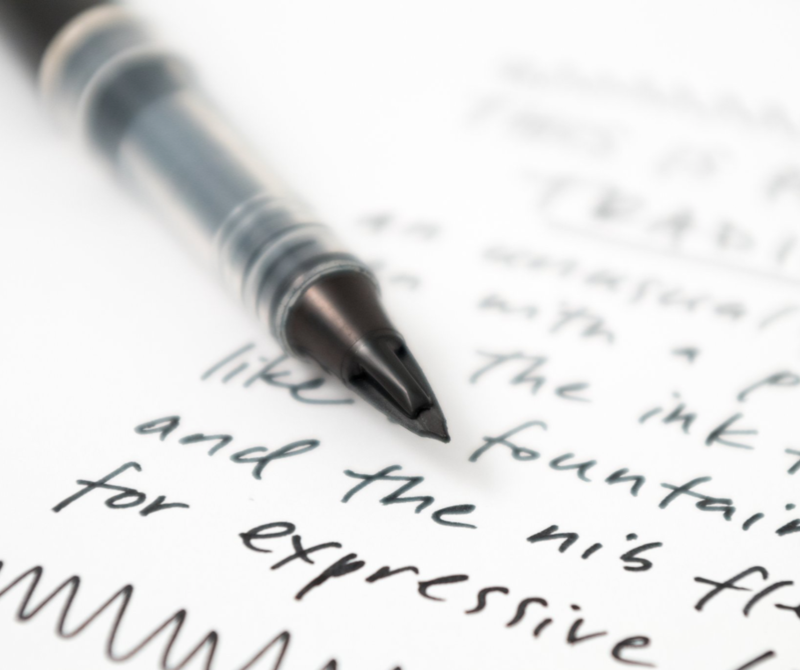 Like other fountain pens, this plastic tipped pen allows ink to flow freely, so you can quickly glide across smooth paper, leaving skip-free bold strokes behind. 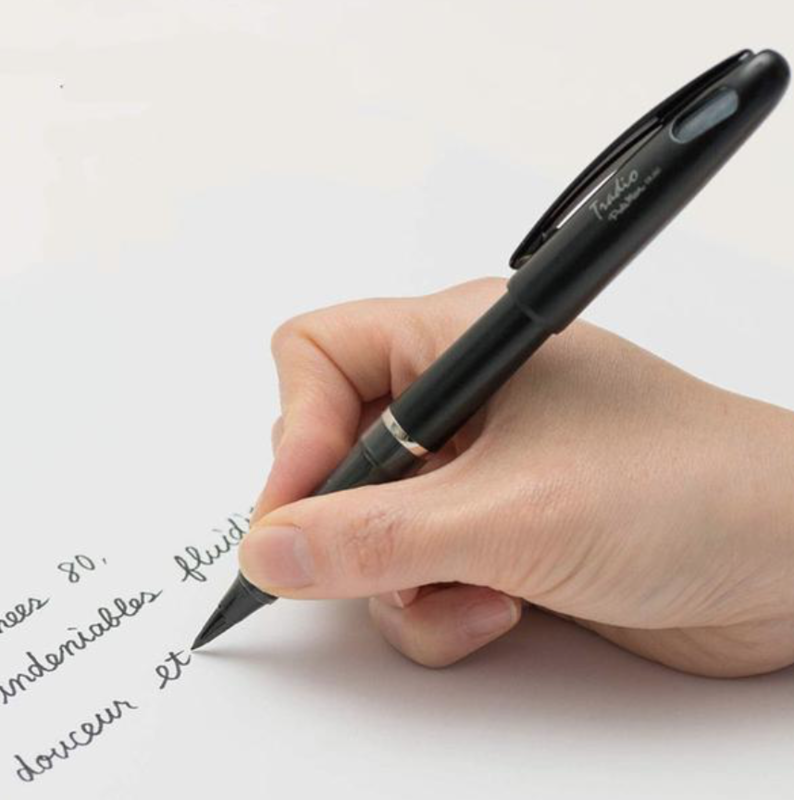 Unlike other fountain pens, the unique nib allows writing in any direction without scratching. It's also a bit flexible, so you can make thicker or thinner lines by varying your pressure. 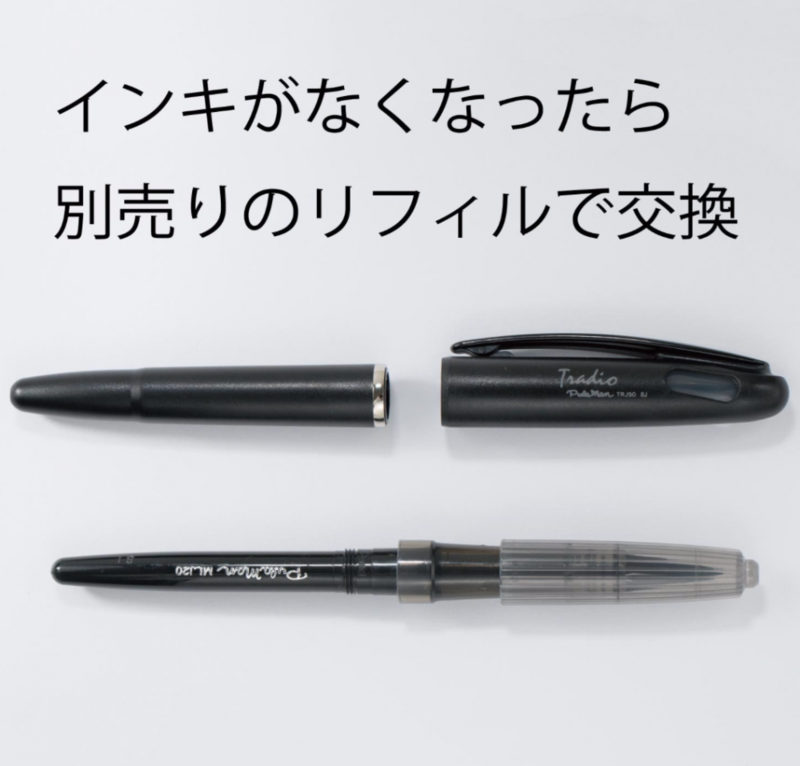 The refills for this pen include a new nib, so you don't need to worry about wearing down the plastic over time.